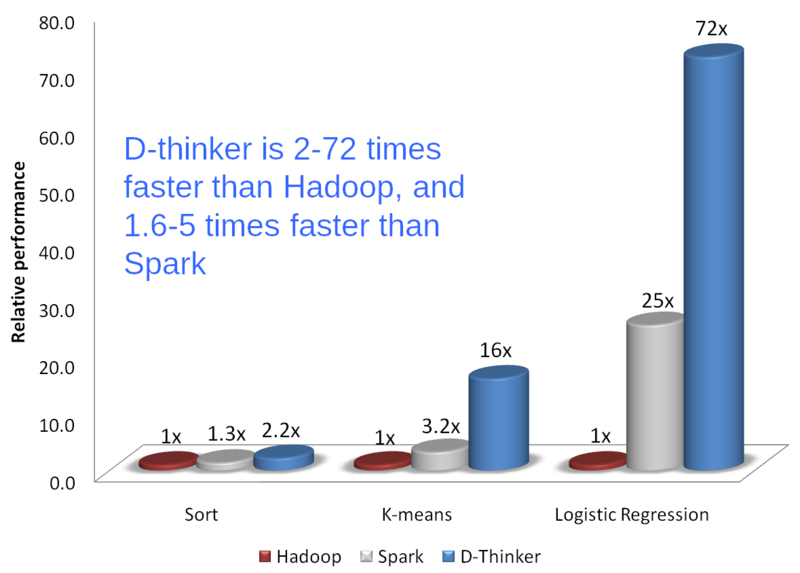 On Nov. 20, 2014, Data Thinker community publishes the results of benchmarks comparing performance of Data Thinker, Spark and Hadoop. Benchmarks show that Data Thinker is the fastest big data technology in the world today. Data Thinker is software suite that unifies the resources in a cluster to form a high-performance computing system for big data computation. Efficiently supporting all known big data computation, it is 10-100 times faster than Hadoop, and 1.5-5 times faster than Spark.